In the age of Trump and an unsure sense of purpose in the minds of young people of color in the United States, it has been the added responsibility of media and public figures like MSNBC’s Ms. Joy Reid, Mr. Roland S. Martin, and political strategist Ms. Angela Rye to fill in the gaps of current news with insightful analysis that speaks to the black and brown demographics. His new book, Black Privilege: Opportunity Comes to Those Who Create It, continues the tradition of Hill Harper’s Letters to a Young Brother and Letters to a Young Sister that offers pragmatic advice to Millennials and Generation Z who admire his unapologetic critique of hip-hop culture and current news from the radio. 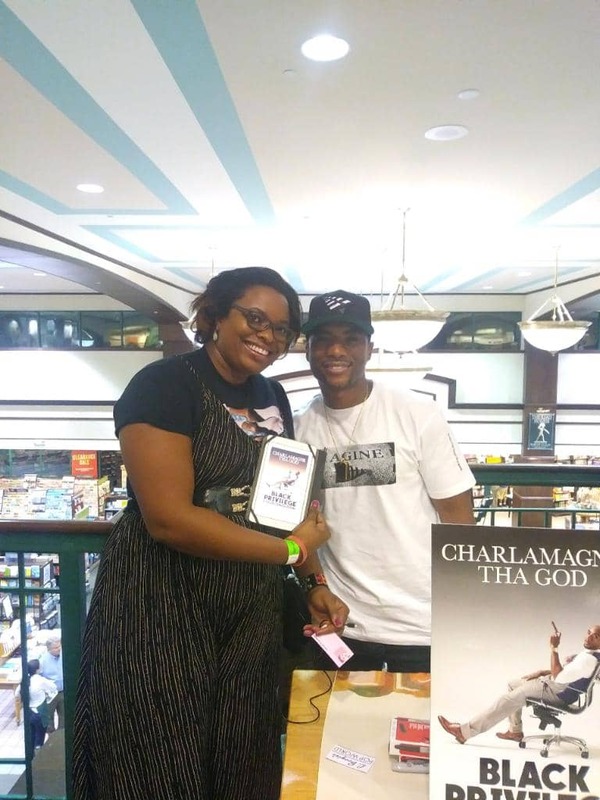 There is a solemnness and depth to this “shock jock” in his first book – Charlamagne relaxes the controversial rhetoric to reveal his South Carolina roots that made him the man that he has become. His birthplace of Charleston and pastoral childhood in Monicks Corner sets the stage for his values of African/Gullah origins and the eight important principles he addresses throughout the book. Each principle outlines a chapter that spotlights a paramount lesson he relays to his reader: “It’s Not the Size of the Pond but the Hustle in the Fish,” “There Are No Losses, Only Lessons,” “PYP (Pick Your Passion, Poison, or Procrastination)” and the provocatively honest “F@#$ Your Dreams” about being realistic with overly lofty goals. He interjects insightful exposition with straightforward narration that leads the reader to the principle’s lesson. For me, the first chapter was probably the most influential, offering insight and background that we rarely get to hear about from the overly critical yet entertaining radio DJ. More importantly, you learn that he comes from truly humble beginnings, alluding to his blueprint that brought him success as well as a determined work ethic that helped him overcome many setbacks in his life. Another insightful life lesson comes from Principle 5: “Put the Weed in the Bag.” Despite its inflammatorily vague title choice, the principle addresses the issue of embracing opportunities that may not pay you upfront. Taking internships during school and college may seem like a thankless requirement to graduate, but you are getting the ground floor apprenticeship to becoming an entrepreneur in your own right, no matter what career you choose to pursue in the future. 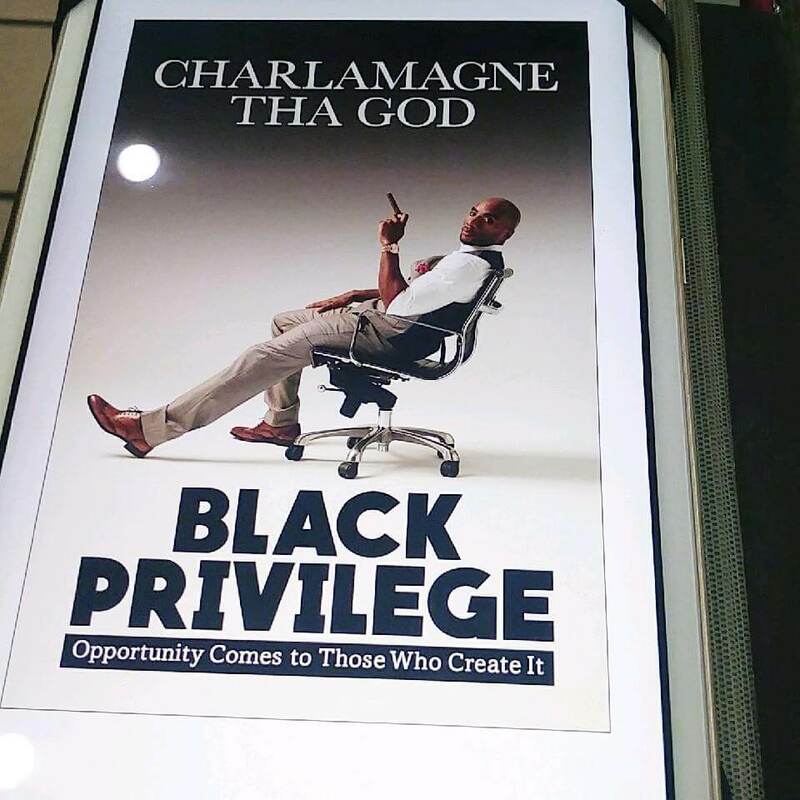 In a world of either silence or hateful speech, Charlemagne Tha God steps up for his national community using his urban music platform to inform more than just entertain and his listeners and viewers are fortunate for this new development.